Anyone have one? I have a nice handle but not thrilled with the knot so am thinking of a transplant. It will take a 24 mm knot. I have the two band Silvertip and so am looking for something different. I know the two band DO 1 is probably not a good fit for me, too firm and likely too much scritch. I'm thinking a fan knot at about 24x50. Any one have anything like that? First post here, looks like a good forum! 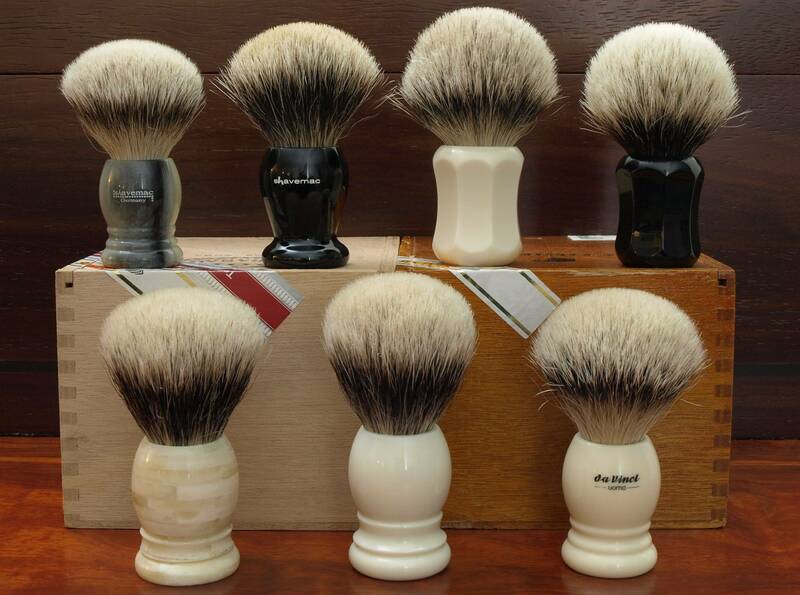 I've had a couple of different brushes with D01 3 band knots in them and I think they are excellent. They do seem to be bigger than the specified size so you might order a 23 to be safe. Love the DO1 3-band. Seems to get overlooked since the 2-band silvertip came out. You will not regret it. I own all the 4 Different Silvertip knots in two versions- bulb and fan shape. 8 brushes total. I'm a big Shavemac fan.